The Series was a rematch between the two opponents of the 1935 World Series. In that Series' final game, Stan Hack led off the top of the ninth inning of Game 6 with a triple but was stranded, and the Cubs lost the game and the Series. Hack was still with the Cubs in 1945. According to Warren Brown's account, Hack was seen surveying the field before the first Series game. When asked what he was doing, Hack responded, "I just wanted to see if I was still standing there on third base." The visiting Cubs began with a bang, scoring four times in the first. A two-run Bill Nicholson double staked pitcher Hank Borowy to all the runs he needed, and Mickey Livingston added RBI singles in his first two at-bats. Future Hall of Famer Hal Newhouser didn't last three innings. After 13 innings without a run, Detroit finally got going in a big way. Hank Greenberg's three-run homer in the fifth off Cub starter Hank Wyse brought Briggs Stadium to life. 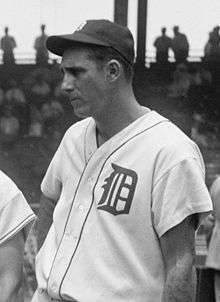 Virgil Trucks' complete game tied the series at a game apiece. The Series shifted to Wrigley Field and the so-called Curse of the Billy Goat began. Dizzy Trout went the distance for Detroit with a five-hitter. A four-run fourth against Cub starter Ray Prim gave Trout all the runs he needed, Roy Cullenbine's RBI double the inning's big blow. Back in form, Newhouser went the distance for Detroit, striking out nine. The game was 1-1 until the sixth, when the visiting Tigers got hits from the first four men to bat in the inning, knocking Borowy from the game and bringing the Tigers within a win of taking the Series. Staving off elimination, the Cubs had things under control, 7-3, going into the eighth, only to see Greenberg's solo shot cap a four-run Tigers inning to tie it. In the 12th, after a one-out single by Frank Secory, pinch-runner Bill Schuster came all the way around on Stan Hack's walk-off double to left. The Cubs went with the overworked Borowy, who lasted just three batters, each of whom singled. Paul Derringer replaced him, walked Jimmy Outlaw with the bases full, then watched Paul Richards clear the bases with a three-run double. ↑ "1945 World Series Game 1 – Chicago Cubs vs. Detroit Tigers". Retrosheet. Retrieved September 13, 2009. ↑ "1945 World Series Game 2 – Chicago Cubs vs. Detroit Tigers". Retrosheet. Retrieved September 13, 2009. ↑ "1945 World Series Game 3 – Chicago Cubs vs. Detroit Tigers". Retrosheet. Retrieved September 13, 2009. ↑ "1945 World Series Game 4 – Detroit Tigers vs. Chicago Cubs". Retrosheet. Retrieved September 13, 2009. ↑ "1945 World Series Game 5 – Detroit Tigers vs. Chicago Cubs". Retrosheet. Retrieved September 13, 2009. ↑ "1945 World Series Game 6 – Detroit Tigers vs. Chicago Cubs". Retrosheet. Retrieved September 13, 2009. ↑ "1945 World Series Game 7 – Detroit Tigers vs. Chicago Cubs". Retrosheet. Retrieved September 13, 2009.